Fabric:Lightweight jersey 32/1,100% cotton ring spun combed. 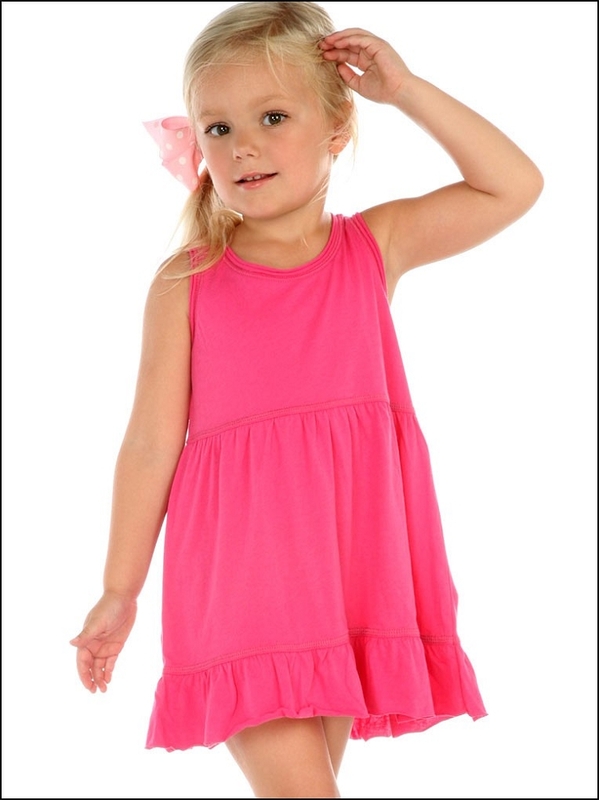 Made of super soft lightweight jersey, this is the perfect little tank dress with big style. Double rolling raw edge at neck & armhole, tiered ruffles with reverse cover stitches. Lightweight jersey 32/1,100% cotton ring spun combed. 4.0 oz/sq yard.